"Why & How You Should Be Analyzing Your Networks"
Relationships are often regarded as the most valuable asset a business can cultivate and maintain. This maintenance however is often lost in the hustle for new business, more business, and attracting potential business. 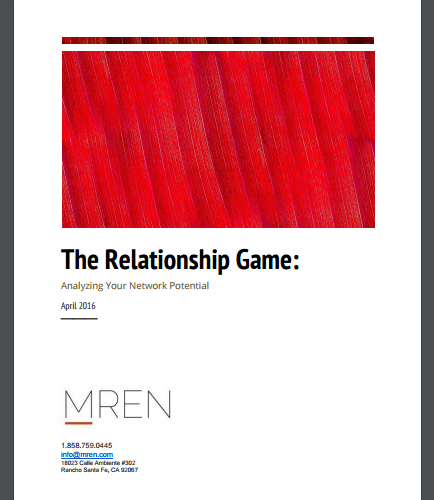 The art of maintaining business relationships through analyzing your network potential should be done as relationships are often regarded as the most valuable asset a business can cultivate and maintain. In-Vested Trust: No matter how expansive your network may be, it is nothing without credible trust built. Relationship Intelligence: Did you make a connection with an enterprise or an individual? Are they still working at the same organization you remember them from? Transparent Opportunity: Transparency enables more opportunities and collaboration for individuals to make new deals.